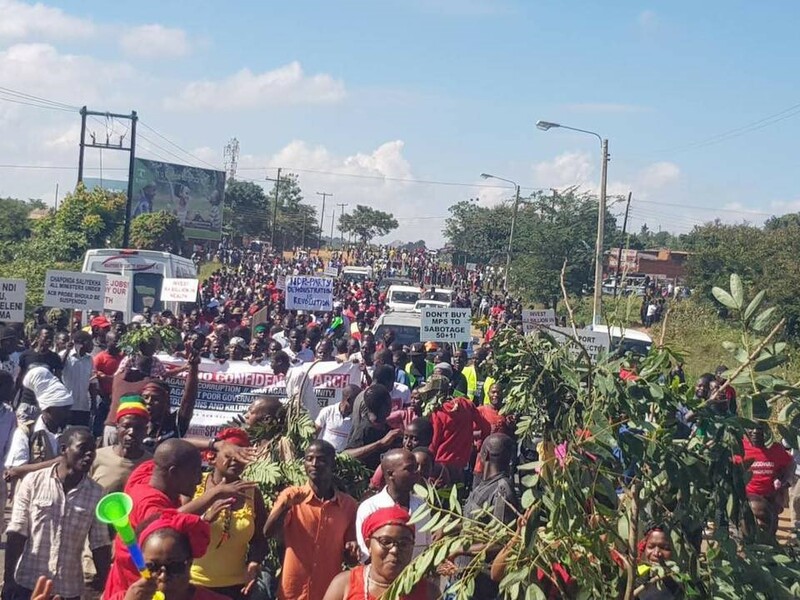 BLANTYRE – The HUMAN RIGHTS DEFENDERS COALITION of MALAWI has abandoned talks with the State ahead of a planned demo against corruption this FRIDAY. MBC News says the decision by the group has disappointed the government, whose officials have waited in vain for delegates from the Coalition for the SECOND time now. It says Information and Communications Technology Minister NICHOLAS DAUSI has issued a statement accusing the Coalition of obstructing to discuss pressing national issues. He says the State is deeply concerned with what he describes as the uncivil manner and deliberate antagonist approaches by the groups under the HUMAN RIGHTS DEFENDERS COALITION. Minister DAUSI says the organisation simply wants to frustrate government intentions to deepen democracy and development through dialogue. He says a 15-member delegation from the State assembled at the Office of the President and Cabinet, at the time the civil society groups had suggested, but they did not show up – yesterday and the day before. Minister DAUSI has told MALAWIANS the government is further surprised by the excuses from the organisation about what they call the rules of engagement for the dialogue process. He the TWO sides should ordinarily develop, negotiate and adopt such issues in a collective manner – and no one side should impose them like civil society wants to do. Minister DAUSI says the government is committed to talk on mutually satisfactory terms without the sense of civil society dictatorship, as shown in the clear egos of the Coalition leadership. He says dialogue is a give and take process, where engagement is on the table and nowhere else; and the discussions are a chance for civil society to engage public workers in a healthy conversation that brings results for advancing national interests. The Cabinet Minister says the Coalition leaders should remember their claim as champions of human rights loses meaning the moment they begin to carry a know-it-all attitude, pretending to be above anyone else as far as matters of national interests are concerned. 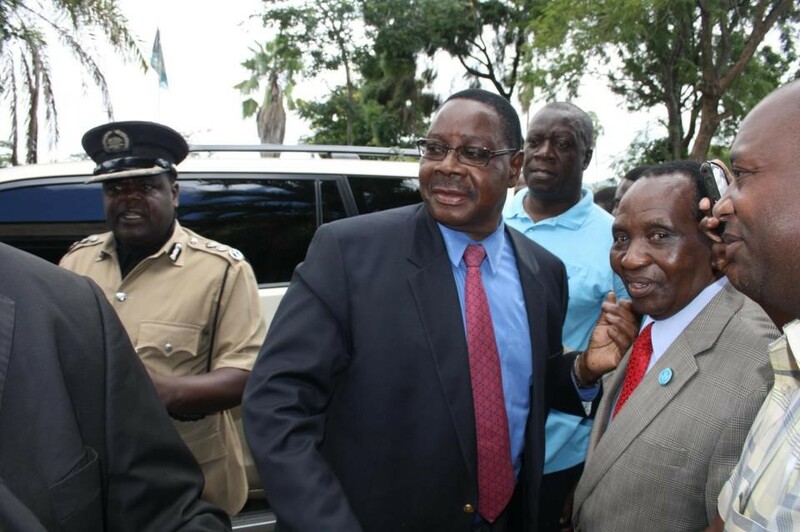 Media reports say Coalition leaders have told the media in the capital, LILONGWE, their decision comes after the authorities ignored their proposal to include President PETER MUTHARIKA or ministers in the discussions. The NYASA TIMES says they have since written to the Chief Secretary to the Cabinet, LLOYD MUHARA. It says Coalition Chairperson TIMOTHY MTAMBO has accused the State of secretly trying to cripple their planned demonstrations against corruption and impunity, set for this FRIDAY across MZUZU, LILONGWE, BLANTYRE, and ZOMBA cities. 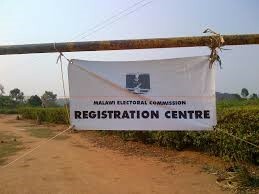 LILONGWE – The MALAWI Electoral Commission has commended political parties for their positive attitude towards the ongoing voter registration exercise in the SADC country. Commission Public Relations Officer SANGWANI MWAFULIRWA says all the involved groups are sensitizing citizens and encouraging them to register for the forthcoming ballots. MBC News says the authorities have now launched the THIRD Phase of the exercise, starting from 30 JULY and until 12 AUGUST, covering the capital, LILONGWE and LILONGWE Rural. It says the FIRST and SECOND Phases faced some challenges from malfunctioning of voter registration equipment, as well as poor turn out; but things began to improve towards the THIRD leg. The Commission had planned to register some ONE-MILLION-48-THOUSAND-AND-80 people in Phase TWO but managed 83 percent of the total. Public Relations Officer MWAFULIRWA says the exercise managed to register the 875-THOUSAND-138 persons in DOWA, NKHOTAKOTA, MCHINJI and NTCHISI towns. He has appealed to MALAWIANS to come out in their numbers now that the registration process has picked momentum. The Electoral official says they have adopted a new computerized system that ensures eligible voters do not spend hours on queues as it used to be in previous elections. Records show MALAWI holds elections to choose a Head of State or the President, and 193 members of the National Assembly for FIVE years in single-seat constituencies. The Presidential candidate shares ONE ballot paper with the Vice Presidential aspirant, and they both serve for FIVE years just like the legislators. Current MALAWIAN media reports say the 2019 ballots aim to select councillors, members of Parliament, and a President, but they leave out the selection of a Vice President. President PETER MUTHARIKA will represent his ruling DEMOCRATIC PROGRESSIVE PARTY, despite mounting allegations of corruption and calls for him to resign. The last week of this APRIL saw thousands of citizens joining peaceful protests organised in SIX municipalities by civil action groups, calling for him to resign. 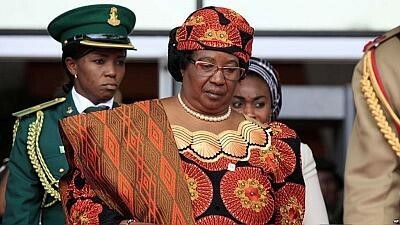 President MUTHARIKA faces former President JOYCE BANDA, leader of the opposition PEOPLE’S PARTY who returned home in APRIL after FOUR years of self-imposed exile. The 68-year-old former Head of State reportedly came back while facing the threat of arrest over scandal accusations of 2013, which contributed to her defeat in polls ONE year later. Her rival MUTHARIKA (78) is a politician, educator, and lawyer, who has been President since 31 MAY 2014, after having worked worldwide in the field of international justice. 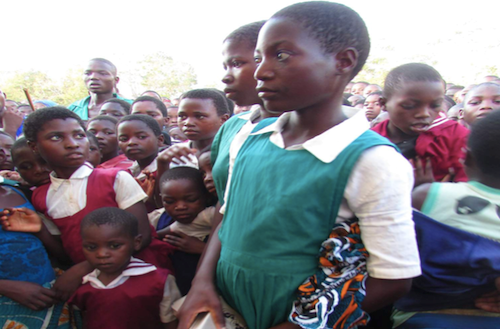 NKHOTAKOTA – The GENDER GOVERNANCE JUSTICE AND DEVELOPMENT CENTRE in MALAWI says there is need to train women for competition in the political arena. Programs Officer GRACE MAKUTI has addressed delegates in NKHOTAKOTA Town this week at a training for women aspiring to compete for positions in the 2019 General Elections. She says her group wants to propel more female politicians to decision-making positions in Parliament as well as councils, and the training aims to teach them effective ways to compete. MBC News quotes Ms MAKUTI as also saying the strategy of having more women candidates will allow the electorate to have a wider choice during voting. However, she has dismissed statements from some commentators who say grooming more women aspirants will divide the vote for female candidates. Ms MAKUTI says they are working with FIVE main political parties including the ruling DEMOCRATIC PROGRESSIVE PARTY, in order to fish out the best persons. The other FOUR are opposition MALAWI CONGRESS PARTY; UNITED DEMOCRATIC FRONT; both former ruling groups, PEOPLES PARTY, and ALLIANCE FOR DEMOCRACY. NKHOTAKOTA Boma Ward Councillor SPIDER NKHOMA says it is time communities understood women should get chances to take leading roles, and men should support them as well. The Councillor, who says he is not standing this time around, to allow a female contestant space, says women should in turn learn to appreciate they can shine through their friends; because the pull-down syndrome will not take them anywhere. 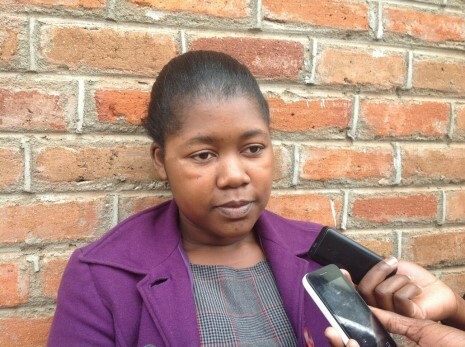 MBC News also says ONE of the female aspirants for BUA Ward, CORTESHER MBEWE, has asked people of goodwill to support women with resources for conducting campaigns. She says they are competing with men who have adequate funds to convince people, so women need backing to win people over. The national broadcaster says 42 female politicians have shown interest to contest as councillors and MPs in NKHOTAKOTA Town during the 2019 elections. 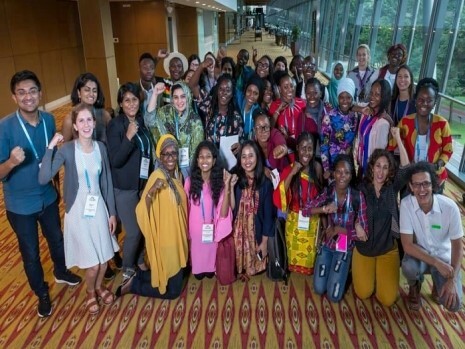 KUALAR LUMPUR – MALAWI has taken part in the SECOND Global Meeting of the GIRLS NOT BRIDES Campaign held in JUNE this year in KUALAR LUMPUR, MALAYSIA. MBC News says countries represented at the gathering have agreed to focus on involving the youth in the drive to help end child marriages, including marriage of kids with disabilities. It says Coordinator of the FORUM FOR THE DEVELOPMENT OF YOUTH WITH DISABILITIES has attended the conference with support from GIRLS NOT BRIDES – UNITED KINGDOM. The national broadcaster says FATIMA KALIMA has commended the meeting, describing the event as an eye-opener. She says it gave them a chance to share ideas on how countries can ably end child marriages and empower children who have come out of such premature unions. Ms KALIMA says the gathering has also revealed the youth need to be actively involved in the issues of ending child marriages, as they are the victims. GIRLS NOT BRIDES MALAWI Chapter with some organisations in MALAWI including the Forum has been fighting hard to end child marriages in the SADC country. Ms KALIMA says there is need for all stakeholders, like the State, traditional leaders, and churches, to lead in the involvement of young people, including the disabled, in the fight against child marriages. She says most of the times decision makers have been doing things without involving the victims, but her group now wants children – who are the most affected – to voice out their concerns and propose solutions. MBC News says conference delegates were from MOZAMBIQUE, TANZANIA, MALAWI, MOROCCO, ZIMBABWE, some states in West AFRICA, ASIA and the UNITED KINGDOM. Meanwhile, as the lobby to protect disabled children continues, Police in the SOUTHERN REGION district of PHALOMBE have arrested FIVE suspects in connection with the missing of a 12-year-old albino boy. MBC News says the accused include the mother of the boy, who went missing on SIX JULY, with the National Police Spokesperson saying they have charged the suspects with conspiracy to commit murder. However, Officer JAMES KADADZERA has dismissed earlier reports about the body of the missing boy having been found, saying the Police are still searching for the child. He says their investigations took them from the home of the boy to the place where SIX JULY celebrations were taking place, leading to the arrest of the FIVE – who are all related to the missing boy. 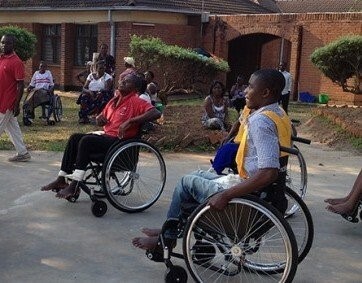 LILONGWE – MALAWI has launched the National Disability Mainstreaming Strategy and Implementation Plan aimed to increase the contribution of persons with disabilities to development activities. 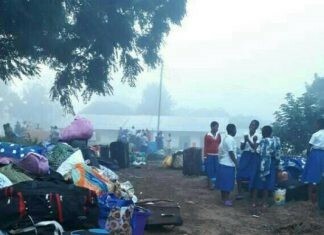 The government says the move comes after years of advocacy from a variety of groups under the banner of the FEDERATION OF DISABILITY ORGANIZATIONS IN MALAWI, FEDOMA, complaining about marginalisation. Gender, Children, Disability, and Welfare Minister JEAN KALILANI has revealed the information at the launch of the strategy this week in the capital, LILONGWE. She says the policy will remove and avoid the inequalities between persons with disabilities and the able-bodied persons. Minister KALILANI says people with disabilities have many obstacles in accessing education, health and other services, all of which the strategy is going to eliminate. MBC News quotes the Cabinet member as saying affected citizens will now be able to enter any house they want and have access to other services at any time just like anybody else. 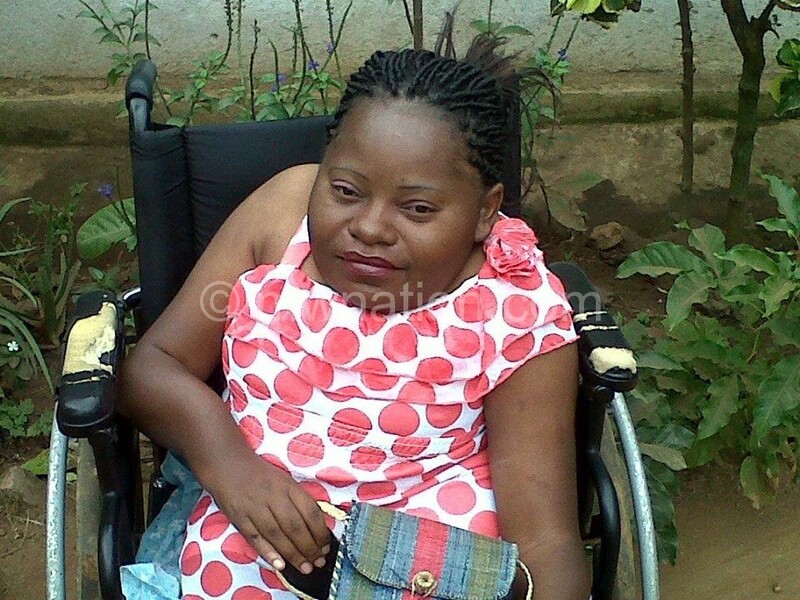 She says the government aims at empower persons with disabilities economically, set up a disability fund and make sure they have presentation in the National Assembly. FEDOMA Chairperson NITTAH HANJAHANJA has commended the State for listening to their calls, saying her group will reach out to affected people starting from primary schools. They feel the strategy should be implemented like never done before, given the number of stakeholders like ministries and other departments that have been part of the process. 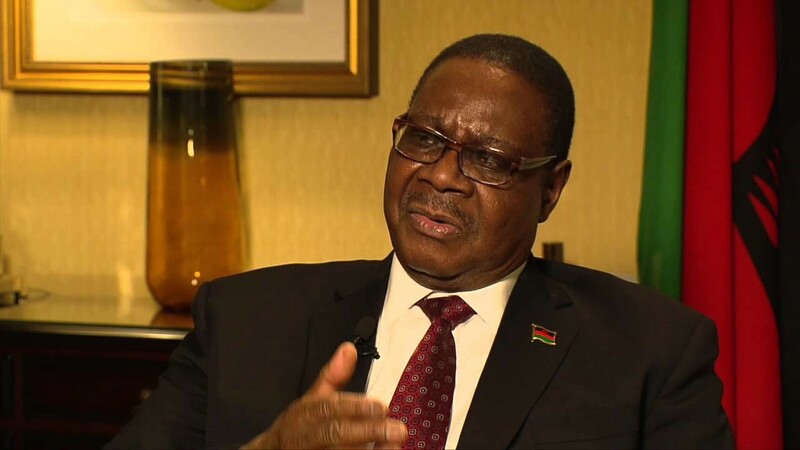 BLANTYRE – President PETER MUTHARIKA of MALAWI has called on the Electoral Commission to ensure the ongoing registration does not exclude any willing and eligible voter. MBC News says he has addressed members of the Commission who visited him at his SANJIKA Palace in the commercial capital, BLANTYRE. The national broadcaster says the team has briefed the Head of State him on preparations for the 2019 General Elections and the Biometric Registration System the Commission plans to use. President MUTHARIKA has in turn told the officials elections are a vital undertaking for any country. He says the Commission should try to ensure whatever registration method they are going to use will enable the majority of MALAWIAN voters to decide the destiny of their country. MBC News also says registration of voters will commence on 26 JUNE this year, and people will go to the polls in MAY 2019.